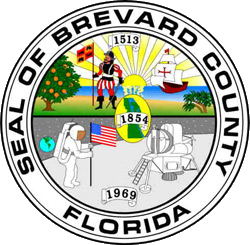 Thanks to an alert Florida Citizens for Science friend, we now know that Brevard County is looking for the public’s input about what science instructional materials to adopt for their school district. Read this pdf listing the dates and events: Community Involvement Opportunity. Brevard Public Schools (BPS) is inviting parents/community members to provide input for the selection of Next Generation Sunshine State Standards aligned instructional materials. There are four opportunities for parent/community input. Brevard Public Schools (BPS) is committed to fostering high-quality learning experiences we know students need to ensure they have a solid K-12 science education. The upcoming instructional materials adoption cycle for science is an opportunity to select high-quality instructional materials for the beginning of the 2018 – 2019 school year. Participating in the instructional materials review process is a powerful opportunity for teachers, administrators, parents, and community members. It’s definitely time for everyone to monitor your own school district for events like these! Let us know about them and we’ll post information for all to see.